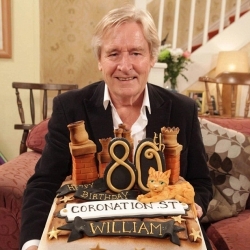 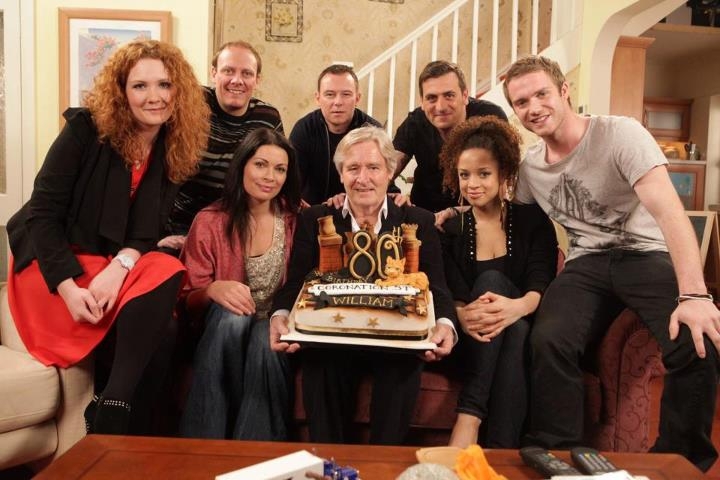 Coronation Street star bill Roache had his cake and ate it yesterday as he was presented with a special 80th birthday treat , with a cake on ITV ‘This Morning’ show that was created by us!! 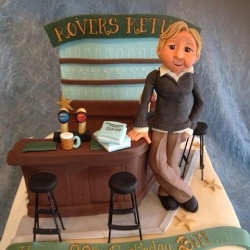 His friends at Granada also comissioned a special cake that we created for this occasion. 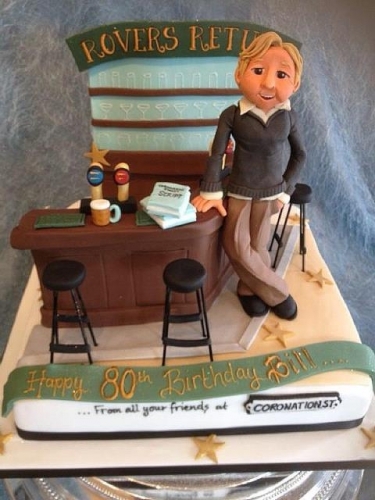 Happy 80th Birthday from all the staff at Richards Cakes. 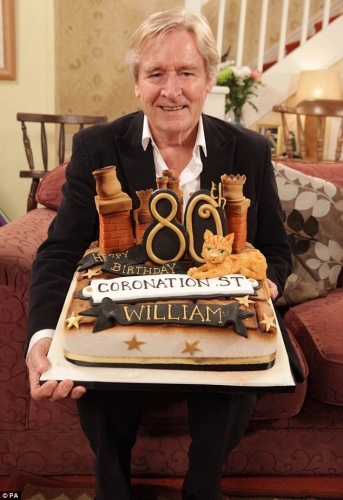 Ken Barlow's cake made by us!